Horses that lack ‘get-up-and-go’ can be exasperating and hard work to ride. For your horse to work effectively, he needs to be in front of your leg and have sufficient, but not excessive, ‘oomph’. There are a number of factors that can make your horse feel sluggish and logically the first thing you should do is rule out any underlying health concerns (e.g. dental issues, back problems, gastric ulcers, respiratory problems or a viral infection). Other factors such as body condition, fitness, inappropriate diet, and in some cases boredom, can also make a horse feel jaded. If your horse is carrying more weight than he ideally should be, he may be less enthusiastic and will find exercise harder than a horse that is in ideal condition (read more on how to Body Condition Score your horse). Promoting weight loss, at the same time as building up your horse’s fitness, should be the priority. Horses become overweight when the calories being fed exceed their requirements and so, simply feeding an overweight horse a high-energy feed will not rectify the problem. In fact, doing so will only lead to more weight gain and therefore amplify the problem. Good-doers in light to medium work are unlikely to need large amounts of ‘hard-feed’ but will benefit from a nutrient-dense balancer i.e. RED MILLS Performa Care Balancer or a good multi-supplement e.g.Foran Equine Chevinal Extra (read more on feeding the good-doer). On the other hand, if your horse is underweight or lacks topline he may not have the energy stores or muscle strength needed to perform, especially if being asked to undertake sustained exercise. Feeding a diet that provides higher levels of calories, plus good-quality protein will help to ensure your horse gains weight and develops muscle tone. 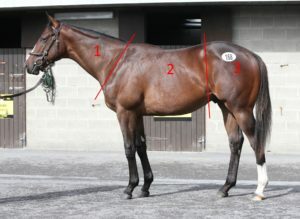 The most suitable ration will depend on your horse’s current condition and temperament. For example, RED MILLS Horse Care 10 Cubes may be sufficient for an excitable horse that is currently only fed a basic pony mix, whereas a very weak individual may benefit from RED MILLS Conditioning Mix. Horses lacking topline can also benefit from supplements such as Foran Equine’s Muscle Max. This palatable liquid supplement contains a unique combination of L-lysine to support lean muscle development, B-Vitamins to help maintain a healthy appetite, and the important antioxidants Vitamin E and selenium to protect from cellular injury. Ensuring your horse is fit enough for the work you ask him to do will make a big difference to his performance. To begin with, an unfit horse will find exercise tiring, but as his fitness gradually increase so will his energy levels. Remember that every time you increase the intensity or duration of your horse’s training it will take a little time for their body to adapt and initially, they may feel a little flat. The most suitable fittening program for your horse will depend on the type and level of work he will be asked to do, for example, intense short duration exercise may be ideal for a showjumper, but an event or endurance horse will need to train over long distances. 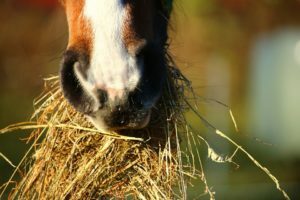 Feeding sufficient dietary forage is central to your horse’s health and performance. Forage, or more specifically the fibre it provides, should be the basis of all horses’ diets and ideally should be provided ad lib. Fibre is an important energy source and provides what is known as ‘slow-release energy’ i.e. the energy is gradually released as microbes in the horse’s hindgut slowly ferment fibre. In addition, the hindgut and the fibrous material within it hold a reservoir of water and electrolytes that help to keep your horse hydrated. Care should be taken when selecting the most appropriate forage for your horse for example, a late-cut hay is ideal if your horse is a good-doer, whereas an early-cut ryegrass hay or haylage may be more suitable if your horse needs to gain weight and condition. Optimising your horse’s vitamin and mineral intake is critical for his general health and ability to undertake exercise. Even minor deficiencies or imbalances in micronutrient intake can result in a horse feeling lazy. For example, B-vitamins are needed in the energy-producing pathways of the body, whilst copper is needed for the formation of haemoglobin, which carries oxygen to cells from the lungs. Low haemoglobin levels can mean the body does not getting enough oxygen resulting in fatigue and weakness. Antioxidants, including vitamin E and selenium, are also very important during exercise and recovery. During exercise, the body’s production of free radicals increases and this may contribute to muscle fatigue. You should check the feeding guidelines on the back of the bag to ensure you are feeding your horse optimal levels of micronutrients. If you do find that you are feeding significantly less than the amount recommended you can ‘top-up’ your horse’s micronutrient intake by adding a high specification balancer or vitamin and mineral supplement to his feed (e.g. RED MILLS Performa Care Balancer or Foran Equine Chevinal Extra). In some cases, it may be beneficial to provide additional levels of specific vitamins and minerals. For example, horses that tend to be fussy feeders or those that can go off their food, as is often the case for horses in hard work, will benefit from a high specification B-Vitamin supplement such as Foran Equine Shy Feeder. Horses disperse heat during exercise primarily through the evaporation of sweat. Water and salts lost through sweating will result in dehydration, poor performance, lack of stamina and even muscle dysfunction if not replaced. Loss of hydration by as little as 2% of bodyweight will affect your horse’s energy levels. To keep your horse well hydrated you should always ensure that he has a plentiful supply of fresh, clean water and has access to, and uses, a salt-lick, and is supplemented with electrolytes as required. All RED MILLS feeds contain added salt. If your horse is receiving sufficient hard feed additional supplementation may not be required. However, good-doers that are in light work and only receiving the minimum recommended feed rates may require additional salt. This can be provided by adding some salt to the feed (e.g. 1 level tablespoon/ day for a 500kg horse) or by providing a salt-lick. For horses in moderate to hard work and after heavy sweating feeding a specific electrolyte supplement is recommended. The most appropriate supplement and how often it needs to be fed will depend on your horses’ individual requirements and it is best to consult an experienced nutritionist. A horse that is in consistent moderate to hard work may benefit from daily supplementation with Foran Equine Equi-Lyte G, plus a concentrated electrolyte supplement such as Foran Equine Refuel Gel or Liquid on competition days. If, despite reviewing all of the above, your horse still lacks ‘oomph’ it may be beneficial to switch to a feed that is higher in ‘fast-release’ energy. Feeds such as RED MILLS Competition 12 Cubes and Mix can often help a horse to have more ‘spark’. These feeds can also be fed to good-doers in very small quantities (approx. 200g/ day) and some people find that feeding this amount shortly before exercise can be beneficial. However, do bear in mind that regardless of what you feed you cannot change your horse’s underlying temperament – what you put in the bucket will not change a laid back Warmblood into an excitable Thoroughbred or vice versa! Horses can get bored if they are asked to do the same work every day, so make sure you mix up your horse’s workload by including schooling, hacking, hills and possibly jumping. Similarly, travelling long distances can drain your horse as it takes considerable effort for your horse to maintain his balance in a trailer or lorry; one hour of travelling is equivalent to an hour of active walking. Usually the excitement of being away from home will outweigh any tiredness but if not, try to arrive at competitions or shows in good time and don’t overdo any warm-up exercises. A combination of a well-balanced diet and correct fittening work will help your horse to perform to the best of his ability. 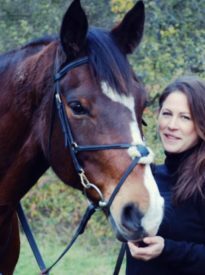 However, if your horse tends to be a little too laid back or simply needs a bit more presence in the ring speak to our team of expert Nutritionists for advice.